Rupert Pupkin Speaks: Marc Edward Heuck's Top older films seen 1st in 2010 ""
Here we have another excellent guest list from Mr. Marc Edward Heuck! His blog is The Projector Has Been Drinking and his twitter is here! Marc is a hugely entertaining and intelligent writer and lover of film and you should be reading him if you're not already! Nuff said. People who have read my blog, seen me on TV, heard my DVD commentaries, or just spent more than 15 minutes listening to me opine on film, have always inevitably asked me the same question: "Why aren't you a full-time movie critic?" And for all the legitimately good reasons for not being one - the cutting of positions, consolidation of the press, the ubiquity of blog critics (including myself) and the glut of blurb-generating whores, the devaluation of professional criticism, the terrible pay - it ultimately comes down to one more self-indulgent one. There are so many movies that I have not seen, especially in a theatrical setting, that I would much rather catch up with them on my own dime than be paid to see something that I instinctively know won't be my cup of polymascotfoamalate. Having good friends who are lucky to have their time and prose compensated by major publications, I have learned first-hand of the regular regret of missing a revival screening in order to attend the premiere of the latest Platinum Dunes horror remake. So when I was asked to compile a list of the the best films I finally saw for the first time in 2010, this was a validation of my non-career choice, because I have spent hundreds of fine evenings watching classics and crap of the past with virgin eyes. And these were what I thought were the most edifying to my film edjamacation. First off, a Special Mention to Nobuhiko Obayashi's 1977 HOUSE. Too many others who have submitted to this ongoing series of posts have already cited it on their lists, so I figured I should devote more time and text to other films. But I can't deny that I too was giddy with glee upon watching what, apparently, would be the results of Sid and Marty Krofft hiring Dario Argento to create a Saturday morning teen girl saga. 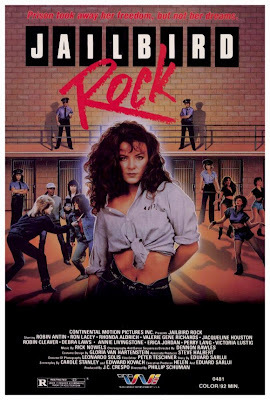 Tantalized for years by the market ads in Variety under it's original shooting title of PRISON DANCER, I finally caught an ultra-rare screening of this wonderfully contrived hybrid of FLASHDANCE and CAGED HEAT this past spring, and it did not disappoint. Years before founding the Pussycat Dolls, Robin Antin got sent up the river, and it was not a matter of Judge Shorty sentencing her to 30 days of learning the Hula-Hoop, Shing-a-Ling, and Afro-Twist. 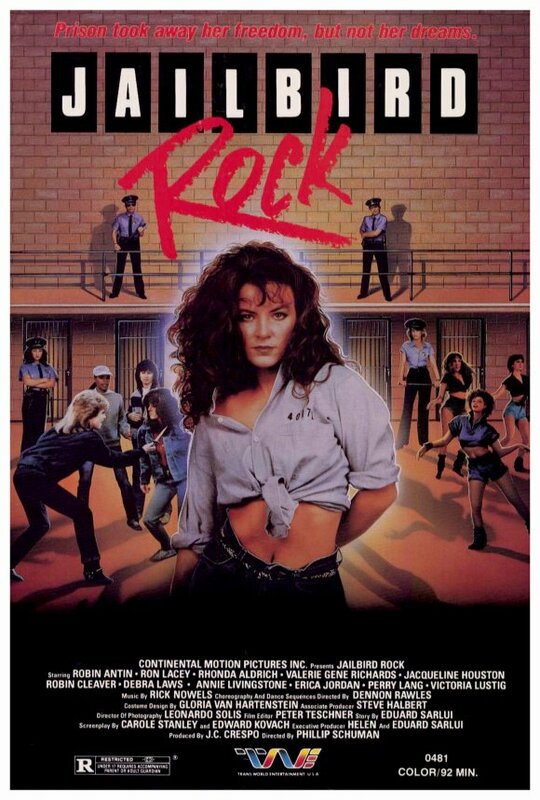 Not quite as deranged musically as THE APPLE or as talent-challenged as TROLL 2, it's still a hilarious waste of time to see the so-called hardened cellblock sisters going from lockdown to get-down. 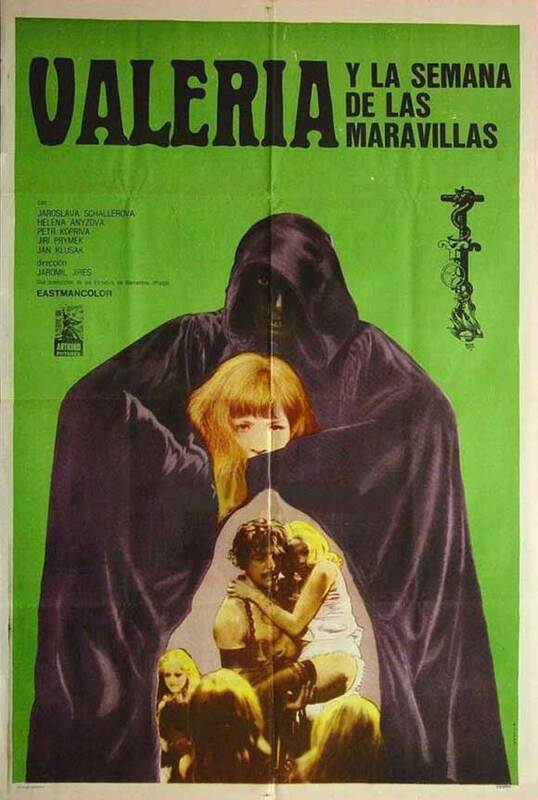 Roger Vadim's 1960 interpretation of Sheridan Le Fanu's novella "Carmilla" was indeed a revelation, an elegant gothic tale of vampiric attraction, with a daring-for-the-era honesty about the sapphic nature of the main female character's relationship. Another film that is ridiculously hard to see, the one surviving 35mm print that was screened was itself incomplete; a local collector's 16mm print had to be used to fill a crucial narrative gap. Just goes to show that even in this era of streaming and downloads and new repertory popularity, some movies are still elusive and endangered. Frankly, I am kind of surprised it took me well into adulthood to see this, since throughout my formative years it was a longtime staple of both drive-in double features and regular telecasts on ABC - I can still hear the great Ernie Anderson announcing the broadcast with his seductive "Parental Discretion Advised" disclaimer. Remember the A.T. & T. commercial where Wes Anderson appeared to be directing a pyrotechnic-heavy action film? This is very likely what that film would have looked like. Using the framework of both a heist thriller and a buddy comedy, writer/director Michael Cimino's debut film is an peculiar mediation on the bonds between male friends, what has somewhat degenerated into the catchall of "bromance." We see how it can be a positive influence, as in the breeziness of Clint Eastwood and Jeff Bridges' criminal romps, and it's more destructive capabilities, witnessed in the behavior of Eastwood's previous partner turned nemesis George Kennedy. Plus, there is a wonderful deadpan midsection involving our crooks taking mundane day jobs to plan the heist that plays like a rehearsal for BOTTLE ROCKET. Another truly buried gem unearthed by the near-geniuses at Milestone Film and Video, Kent Mackenzie's 1961 documentary-like drama of Native Americans living a maladjusted existence of urban inertia is illuminating without being maudlin, letting us just watch people finding distraction and solace (or really, not finding it) in the big city. Filled with great music and beautiful B&W cinematography, it is both an elegy for the characters' heritage dissipating within society, and also for L.A.'s lost neighborhood of Bunker Hill, a former bastion of film noir atmosphere now gone and replaced by skyscrapers. With all the press being accorded to Bob Murawski's rescue of Duke Mitchell's previously-lost GONE WITH THE POPE, many have lost track of the fact that Mitchell's previous film also finally began to receive some long-overdue theatrical exposure, thanks to discovery of one surviving 35mm print. 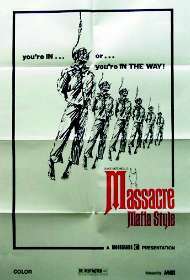 While many feel that it plays rather conventionally in light of the truly gonzo aspirations of POPE, MASSACRE is nonetheless still a knockout blend of cheap thrills and personal politics, with its protagonist alternately railing against Italian defamation and then violently reinforcing it. The 1970 Czech fantasy of a 13-year-old girl's sudden transition into womanhood and the tangled web of images, emotions, and attractions that occur is a striking epic of innocence on the edge. By it's surrealism we get to see how a girl can view one person as kind protector, dangerous predator, and desired lover all at once, that the world seems to want to protect and ravage, canonize and demonize, those qualities that make up the adolescent female. In the pantheon of the great foodie movies beside BABETTE'S FEAST and BIG NIGHT, Juzo Itami 1985 comedy is not so much interested in fine dining as it is in the myriad ways that it affects all of us from birth to death. Whether you actively get caught up in the ostensible main plot of creating the perfect noodle dish, or just revel in the bizarre behavior that food brings out in the tangential episodes, you will leave full and contented when it's over. 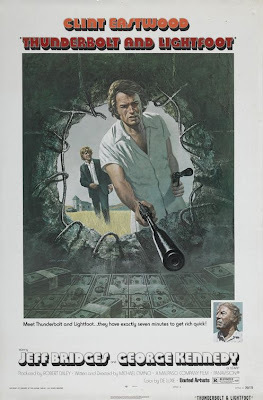 Much like the maxim of how you judge an ethnic restaurant by how many actual persons of said ethnicity dine there, plenty of people talk a good game about loving '70's movies, but Arthur Penn's 1975 mystery of regret and descent is a good gauge to determine the players from the potzers. And yes, that means I was in the latter camp for far too long, though partly because I was holding out for a proper theatrical presentation. And speaking of the departed Mr. Penn, yes, it is to my shame that for all my fancy booklarnin' and ability to speak on its impact, I had never actually sat down and watched this goldurn classic from beginning to end. It's a big problem among this film school generation, to talk smartly on films you've not watched, thinking you still got the gist of things. Nope. Watching it is how you "get" it. And all the stuff that made it such a firecracker way back when still holds up to modern viewing. Yes, despite its presence in the history books, the reams of scholarly text, even the muscle provided to Michael Powell's reputation by Martin Scorsese, I had never made time to indulge in this bonafide masterpiece. Maybe I was put off by the ballet setting, or how the PBS airings as a kid made it look all hoity-toity, or maybe again wanting a big-screen experience instead of a home viewing one, or whatever lame excuse I can fathom. But I finally saw it large, and in an outstanding restored print made possible by Mr. Scorsese...and cursed myself for taking so long to do so. Moira Shearer is a house on fire and Powell knows how to create the controlled burn. Schools should be scheduling yearly screenings of this in the same way they schedule field trips to museums and historical sites and make English classes read Shakespeare. 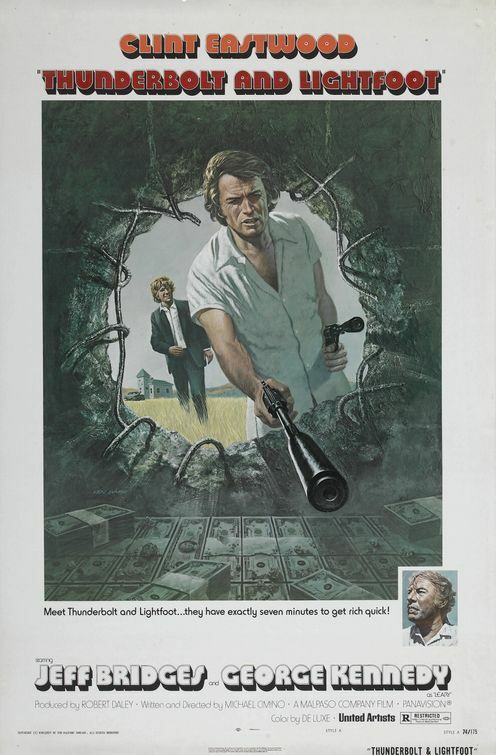 It also took me until recent to finally catch up with a few of your choices as well--THUNDERBOLT & LIGHTFOOT, THE RED SHOES (via the glorious new print), come to mind. 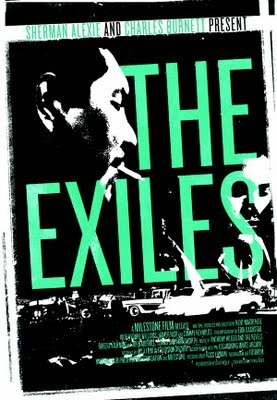 I caught THE EXILES during its 2009 re-release after being tantalized with clips in LOS ANGELES PLAYS ITSELF years earlier. 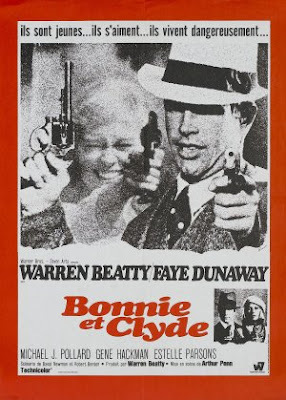 Happy to hear that you've now added the NIGHT MOVES and BONNIE & CLYDE feathers to your cap. I'd agree with your assessment of the former--it's one I am CONSTANTLY recommending to those '70s "loving" folks. Sensational post, Marc. I, for one, would love to see you going full-time critic, but I fully acknowledge the complications attached to that. 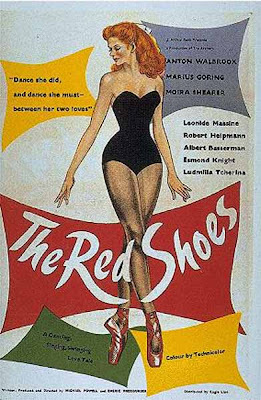 I revisited RED SHOES after watching the Cardiff doco last year. It's an incredible piece of work. 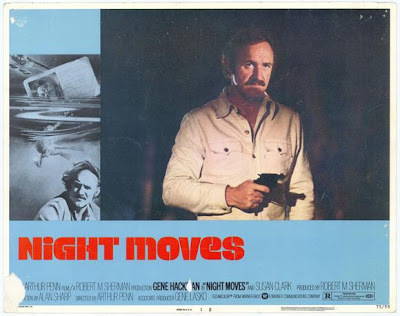 NIGHT MOVES a great inclusion on this esteemed list. I also love Hackman's PRIME CUT, made three years earlier. I missed MAFIA STYLE, unfortunately. Must have been busy catching a Platinum Dunes masterpiece. I've been in love with Moira Shearer since I first saw The Red Shoes at age 8. It took seeing The Life and Death of Colonel Blimp, though, for me to see how great Powell and Pressburger were! NIGHT MOVES! Yeah, I thought I loved '70s movies till I saw that a few years ago and it instantly became one of my favorite films ever. Subsequent viewings have only reinforced this. 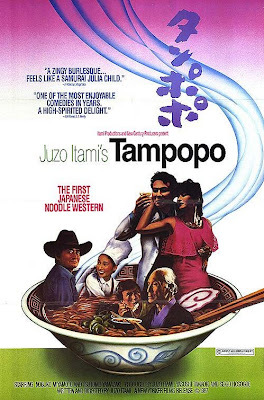 I revisited Tampopo near the end of the year over the holidays and had forgotten the odd side-story with the Man in White (a mostly effective Koji Yakusho). 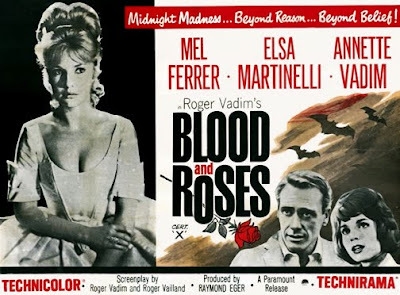 Before that I had always thought of it as a very good film but that extra layer of glacee moves it up. Definitely a top five foodie film succeeding where a Big Night fails, IMO.